Was publishing photo of dead baby irresponsible? Published on September 2, 2009 in Complaints, General T&T and Media. 26 Comments Tags: Media, Vehicular Accidents. 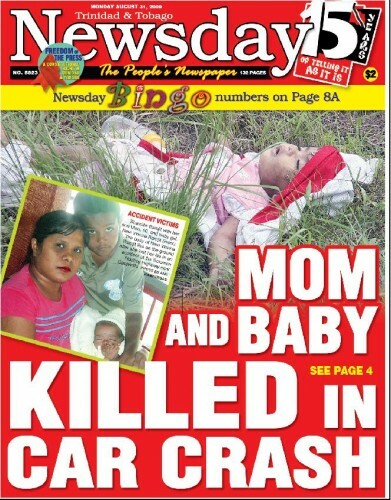 Was Trinidad and Tobago’s Newsday irresponsible for publishing this photo on the front page of its newspaper on August 31, 2009?